Deniz Tiziana Eigen is a driven and charismatic young woman from Hamburg who traveled to Los Angeles on her own, to share her music with the world. She was the first-born child of her parents. Her mother was born in New York and raised in Germany. Her German father is a music teacher and leader of the local school chorus. Deniz Tiziana was exposed at an early age to music (family, piano and guitar). 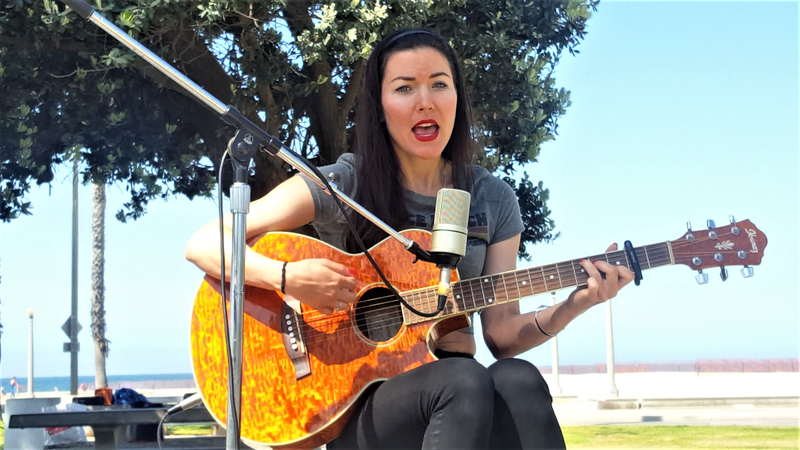 As a first step, she took a trip to Los Angeles on her own, where she played open mics, launching the live performance of her original songs. After one week in L.A., Deniz was booked for a 30-minute performance at the Pig N Whistle in Hollywood, California on Hollywood Boulevard, where she met producer/musician Mike Alvarez of Not Records Tapes , also performing at the Pig that night. Alvarez offered Deniz creative support while she was in L.A. and set up an audio recording session on the Santa Monica Beach at Tower 26.